You Can Make a Difference Every Day! Do you think that one person can't make a difference? If everyone did one thing every day to make a difference in someone's life, imagine the multiplying effect...millions of people would be doing something daily to make a difference for someone else! 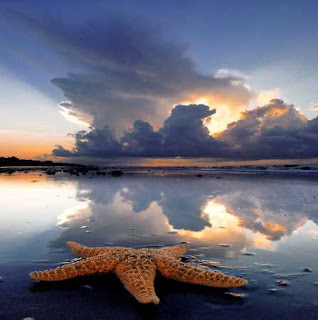 An old man walked up a shore littered with thousands of starfish, beached and dying after a storm. A young man was picking them up and flinging them back into the ocean. "Why do you bother?" the old man scoffed. "You're not saving enough to make a difference." The young man picked up another starfish and sent it spinning back to the water. "I made a difference to that one," he said. Think about it. WE can ALL make a difference. It doesn't take a lot, either. A simple act of kindness through the hustle and bustle of your daily lives can make a difference. So as you go about your busy day, hold open the door for someone. When you're sitting in a traffic jam, let a person merge in front of you. You'd be amazed the effect a small act of kindness can do. The person that you are nice too, may think about passing it on by being nice to someone else, and so on and on it goes. You really can make a difference every day in someone else's life!